Do you ever go to the market? Are markets important? What can you buy at the market? Guess and discuss. 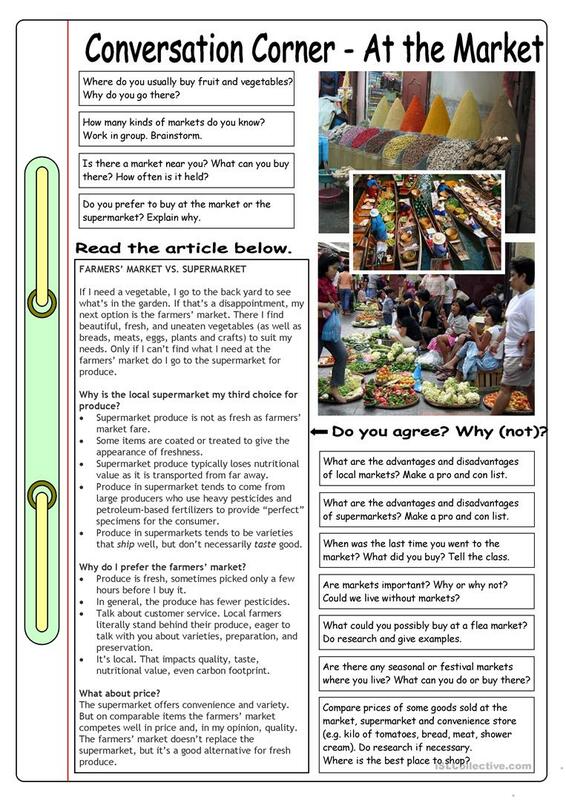 This conversation worksheet with photos and conversation questions can be used as a basis for an informal discussion about markets, supermarkets, shopping and more. It can be used for Internet research and/or giving short presentations as well. It includes a reading text about markets and supermarkets. Teacher notes included. This downloadable printable is intended for business/professional students, high school students and adults at Pre-intermediate (A2), Intermediate (B1), Upper-intermediate (B2), Advanced (C1) and Proficient (C2) level. 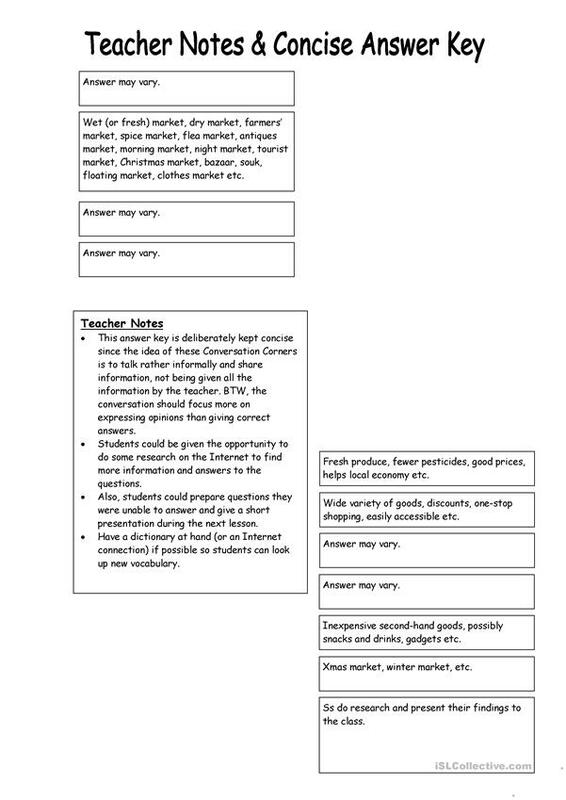 It is a useful material for consolidating Questions in English, and is a valuable material for honing your pupils' Listening, Speaking and Reading skills. It is about the theme of Shopping. You will find the key at the end of the worksheet.